The UK Rock scene is going through something of a renaissance at the moment, with a wealth of brilliant young bands vying for attention. 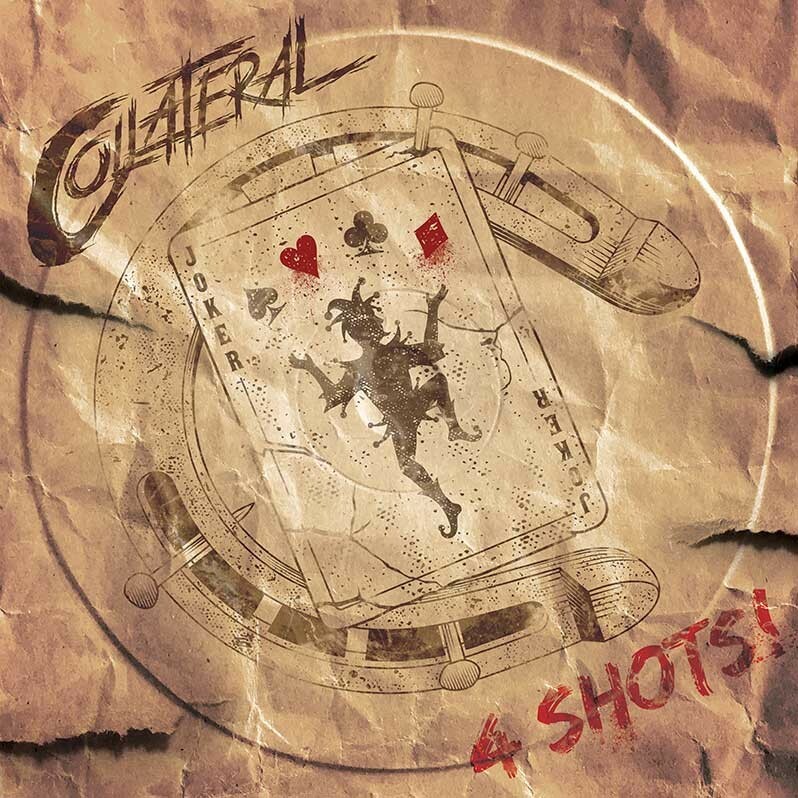 The latest to throw their hat in the ring are Collateral, and their '4 Shots!' EP is a great introduction to what they have to offer. Hailing from the Rock 'n' Roll Mecca that is Ramsgate in Kent, the four piece are Angelo Tristan (vocals, guitar), Todd Winger (guitar), Jack Bentley Smith (bass) and Ben Atkinson (drums), and were originally known as the Angelo Tristan band when they began five years ago, only altering their moniker to Collateral earlier in 2018. Seeing the photo of the guys that accompanied the EP, you would be forgiven that they would have a Sleaze/Glam Rock sound comparable to the likes of Mötley Crüe, Skid Row and Guns N' Roses, but the reality is so, so much better. 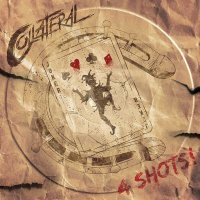 With this EP Collateral deliver '4 Shots!' of supremely crafted Melodic Rock that unashamedly pays homage to the Stadium Rock glory days of the eighties and early nineties, combining a thoroughly American sound that brings to mind prime-time Bon Jovi and Bryan Adams (you know, back when they actually made good music!) with a definite English flavour, while an acoustic guitar undercurrent that runs through all of the songs adds a distinct Tyketto vibe – something that will always get my approval. But what is key is the palpable sense of melody that pervades throughout – initially somewhat subtle, those melodies soon burrow into your subconsciousness and don't let go. The mid-tempo opener 'Going With The Wind' demonstrates a grittier, dramatic sound and is probably the most "current" sounding song on the EP, while still bearing those wonderful eighties hallmarks, then the following 'Midnight Queen' is the polar opposite, being a lightweight but uptempo, bright 'n' breezy Rocker, perfectly blending Eagles-ish Country Rock with Bon Jovi circa the 'Lost Highway' album – irresistibly catchy and perfect as a debut single. 'Angels Crying' is the classic lighters-in-the-air Power ballad with some nice slide-guitar textures, and it actually also reminds me a little of Hinder in places (think 'Last Kiss Goodbye' or 'Red Tail Lights'), while 'Just Waiting For You' would also qualify as a ballad, though with a somewhat bluesier feel, but erupts into life with a distinctly 'Dry County'-ish fiery guitar solo from Todd Winger, who is mightily impressive throughout. Though '4 Shots!' is a mere four songs, with it Collateral have demonstrated that they could have a very bright future ahead of them – the full debut album can't come quick enough!